BJ Koubaroulis, former George Mason University student who graduated with a B.A. in Communication in 2004, spoke to our Comm. 361 class on March 31. He currently works a a sports writer at The Washington Post. The first thing he spoke about was how “you’ll start from the bottom and work your way up: that’s how you learn.” While it may seem like an obvious statement, it’s easy to forget that the only way you’re going to learn is by making your mistakes NOW instead of when it REALLY matters. He recommends working at a small paper to give you an opportunity to 1) learn and 2) make your mistakes. Going along with that, he said he learned the most at his internships and the small newspapers he worked for. He explained how he fell in love with high school sports and actually enjoyed it the most out of all his sports coverage for three reasons: 1) Most access, 2) Most real people, and 3) The people actually enjoy speaking to you. He then spoke a lot about video. That words seems to keep appearing. He explained how video has been a life changing experience for him. He explained how individuals can harness the power of video, whereas before media companies were needed to utilize video. ANYONE CAN DO IT. Video allowed him to become a better writer. If that’s not reason enough to learn video, then I don’t know what is. In conclusion, he also showed us a REALLY cool website that incorporated all the things he’s talking about. It is an interactive website of George Mason University’s Fairfax campus. Check it out here. BJ Koubaroulis, former Mason student, wrote for Washington Post in the past, but now is the CEO of Synthesis Multimedia Productions/Koubaroulis LLC. He always wanted be a sports writer. He started covering local sports and started enjoying it. He got his learning experiences in small newspapers, he actually didn’t learn as much when he got to the Washington Post. To be different from everyone else: took on video! We’re seeing that individuals can make a difference in video, instead of big productions. He started a company with a “bunch of him” that being one-man show video person. The Washington Post contracted them to make videos for online content. Writers do stand-up for them in a way to make the videos more Washington Post material. What makes them unique? The videos come in two hours after the game is over. Unpaid internships? You are investing in yourself. Do radio, do video, do everything, because you are doing everything right now. You are a media person. Be all of it, and you will be able to do the one thing you want to do. If you are not going to change, you are going to be left behind. Do all of it. Starting his company, he took people that were journalists at heart. On media, love it, but don’t count on it. What do you need? A camera, computer, microphone, and ready to work hard. Anybody can do what we are doing. You just need the material. Other clients? Worked with Mason on the digital tour. Worked with Northern Virginia magazine. Video storytelling was the concept of this chapter. 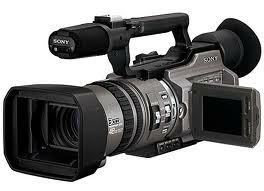 Now anyone can use the digital equipment around them to create video storytelling, it just takes a lot of practice. Thanks to YouTube, the quality of the video doesn’t have to be very high. What’s important is authenticity. The most entertaining videos get re-posted over and over. The New York Times’ David Pogue creates videos to follow this entertaining format. However, they are also very high quality. Just as entertaining is Walt Mossberg’s videos for “The Wall Street Journal”. Be comfortable with the equipment before you start. Pick the right approach for the project — breaking news/highlight clips or documentary-style. Organize your story in a storyboard, if possible. Take a variety of shots but not at the same time. Prepare before you interview (pick the right environment, pre-write questions, etc.). Don’t buy more camera than you need. Give your best material and keep it short. Avoid zooming in and out to get shots, instead hold the shot for 15 seconds then stop recording. Record after you have adjusted to the next shot. Wireless mics can help when capturing interviews, built-in mics are good for environmental sound. The editing process can be helpful because you see what you need to improve on and if you need to reorganize. Certain sites, like YouTube, will compress your video and then post it. FTP sites allow you to email larger files. Viral distribution is a goal, sites like tubemogul help to spread your videos. Video journalism is an important way of telling a news story, whether its breaking news or a documentary, but there are a few different approaches. The biggest question one might ask is how much the quality of the video matters, and the answer is not much: “…the audience for video has become extremely forgiving and is now open to all levels of quality…quick and less polished video content on news sites often draws bigger audiences.” Sometimes the less polished videos are the most authentic ones and the audience knows it and is drawn to it. It is a bit shaky and not the best quality, but it is a professional video clip from CBS. It is the content that the users are most interested in and not the quality, especially when it comes to breaking news. The difference between producing breaking news stories and documentaries is the time you have to plan your story. With breaking news it is important to simply get to the news scene and get footage of witnesses, first-hand accounts, and the overall environment of the incident- even if it means using a cell phone to record video. If it is a documentary, then you will want to take your time on it and make a storyboard. For both documentaries and interviews you will want to create a script. It is good to shoot a variety of ranges (wide, medium, and tight), but do not overuse zoom (aka don’t record while you are zooming) as it makes a video look more amateur. Shoot video like you are taking a still picture. A tripod is a good idea. Sound is important! Make sure the audio is loud and clear- nobody will watch a video if they can’t hear what’s going on. Also, have a variety of sounds in your video, like ambient (background) noise, natural noise, voiceovers, etc. One important thing to remember is that you should always be flexible and record what may not seem important now but could become important later on. In this chapter, Briggs makes a point in explaining that good video speaks for itself. No need to edit, do voice overs. No, nothing. Good rough video, and the audience will get the message. Some things are better to understand if you have video. The digital world made video even more accessible and easy to use. It’s up to you if you want to use your webcam to record video, or if you want to set up a well-illuminated high-quality well-edited video session. Plan ahead. Sketch your story. Storyboard! Have an idea in mind before you start. Mix your shots. Use five-shot sequence: 1-close-up on the hands, 2- close-up on the face, 3-wide shot, 4-over-the-shoulder shot, 5-creative shot. Sound is very important in a video! Force yourself to feel comfortable doing stand-ups. Get up! When shooting a video, keep in mind the focus, zoom, exposure! Think about composition, and keep it short! You don’t have a camera? Start with your webcam like I did. If you ready to go out and shoot, get yourself a camera! Not ready to buy a camera? You can always borrow one from the starlab! Thanks to the emergence of cheap video cameras and free video-editing softwares, video journalism has become easier than ever. Even without purchasing over $35,000 worth equipments that used to be requirements, anyone can produce high-quality videos and upload in Web. It has become so easy that millions around the world frequently upload videos. In mid 2009, YouTube reported that 20 hours of videos were uploaded on their server every second. As a beginner in video journalism, what kind of mindset should we have? Perfection is not necessary. Just do it and make as many mistakes as you can. Of course, it is always better to produce the perfect video that we think of. However, quick and less polished videos tend to attract more viewers, because of it s natural atmosphere and intimacy it provides to the viewers. Even professional video journalists intently give imperfections in their videos, such as shakes or interruptions by others in the video, to emphasize certain aspects in the story. As shown, the imperfect handling of camera and the sudden attack on the reporter well delivers the atmosphere of the scene. You will never know what will happen while filming a breaking news video. Although you will often not have access to the closest to the scene, capturing witnesses and surroundings of the scene can also make a good video. Breaking news stories can also be connected to the press conferences to help audience analyze the situation. A documentary video gives you more freedom. However, it requires more planning and resources. There are three kinds of shots — wide shots, medium shots and close-ups. It is better to mix your shots to give your video a variety. It is recommended to use “five-shot sequences,” which consists of five different consecutive shots to keep the audience focused on the video. How do you shoot a video? It’s simple. Follow these steps: Focus, zoom and adjust the exposure. Aim for solid clips rather than dramatic, spectacular clips. Be selective when to run your camera to save your runtime, and avoid panning and zooming in the middle of the video to prevent the audience from feeling dizzy watching your clips. Keep your voice silent to avoid putting unnecessary, or often unpleasant sound effects in your video, and follow the rule of thirds. Rule of thirds: When framing your video, the most important subject in the frame should be aligned on one of four axis points in your imaginary nine-square grid within the frame. 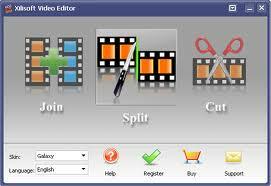 Choose your own fitting editing software, ranging from free softwares such as Windows Movie Maker and iMovie, to professional, pricy softwares such as Final Cut, Adobe Premiere, Sony Vegas, Corel VideoStudio, Cyberlink PowerDirector and Pinnacle Studio. Publishing can be done via YouTube, Vimeo, Blip.tv and Metacafe. 40 years later, the word is ‘video’!